It’s 11-11-11! This is the last binary day this century, as well as a day made of only one digit and thus a very rare palindromic day in both the US and the UK. In honor of this event, arch puzzlemaker Brendan Emmett Quigley provides us an 11×11 crossword. 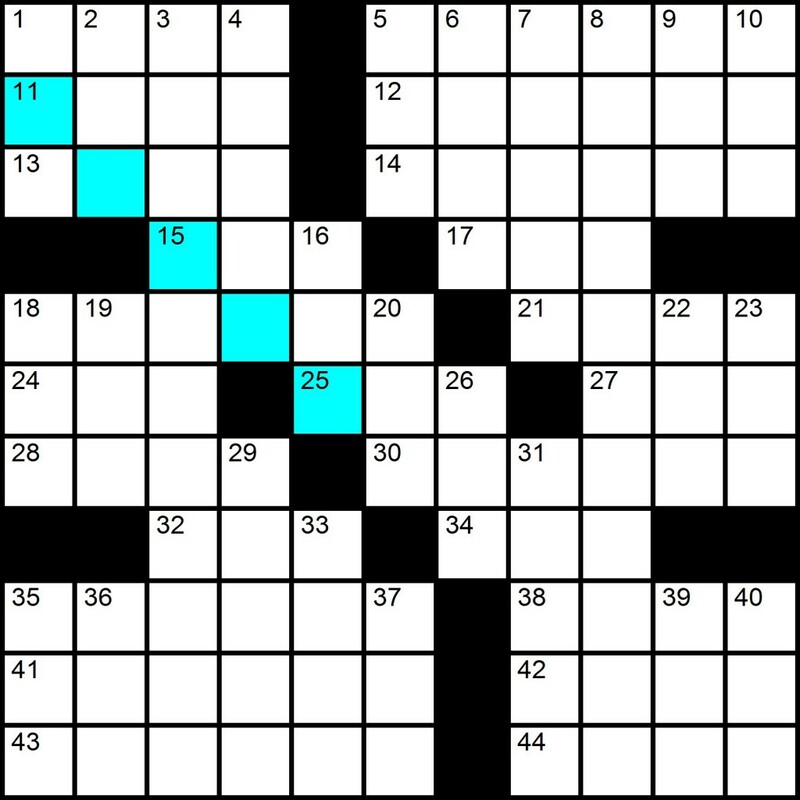 If you’d like to solve in the grid itself, head over to Brendan’s website. Or you can print it out and use a pencil. Certainly, in the topsy-turvy world of crosswords, having a good solid piece of wood in your hand is often useful. 13 E-5 in the Air Force: Abbr. 30 John “Stumpy” Pepys portrayer Ed ___, Jr.
6 Easy guitar chord: Abbr. 18 Step up to the barre?